KOSCIUSKO — A Claypool man was arrested after battering a male to the point of requiring surgery for his injuries. Daniel Ybarra, 34, 2070 East CR 800S, Claypool, is being charged with battery causing serious bodily injury, a level 5 felony; battery, a class A misdemeanor; and criminal mischief, a class B misdemeanor. On March 1, a male subject was cleaning his house when he thought he heard something on his porch break. According to the affidavit of probable cause, as the male stepped outside and noticed his porch light was broke, he was hit and knocked to the ground by Ybarra. The male was hit several times until he lost consciousness. When he awakened, he walked to his cousin’s house and was transported to the hospital for his injuries. Hospital staff determined that the male had bilateral mandibular fractures and a nasal bone fracture. The injury to the male’s jaw required it to be wired shut. Ybarra has a previous conviction for criminal mischief on April 29, 2009, in Kosciusko County. He also has a previous conviction for battery on March 17, 2010, in Wabash County. 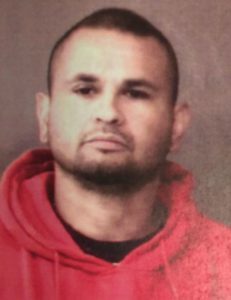 Ybarra was booked into the Kosciusko County Jail on April 14, with a $27,500 surety and cash bond.